I can see this idea and certification requirement law being adopted by other cities and states in the US in the near future. “Once the harm has been done, even a fool understands it.” Boston’s Deputy Fire Chief Jack Dempsey quotes Homer, to sum up, the need that drove the implementation of Boston’s Hot Work Certification Program. Like much Greek literature, the Hot Work Program was borne from tragedy: the loss of two Boston Firefighters in a blaze sparked by unpermitted and careless hot work. The Boston Hot Work Safety Certificate Program was created by NFPA in cooperation with the City of Boston to assist in advancing safety. It is designed to help those in various disciplines in the construction industry develop awareness and understanding of both dangers and safety procedures that can help promote safety on the work site where hot work occurs. The City of Boston requires that in order to receive a permit to do hot work you will need to obtain a Hot Work Safety Certificate and ensure that all persons engaged in hot work operations on the work site also hold a Hot Work Safety Certificate. This certificate is obtained by taking the Hot Work training class and successfully completing an assessment of your learning. NEW! 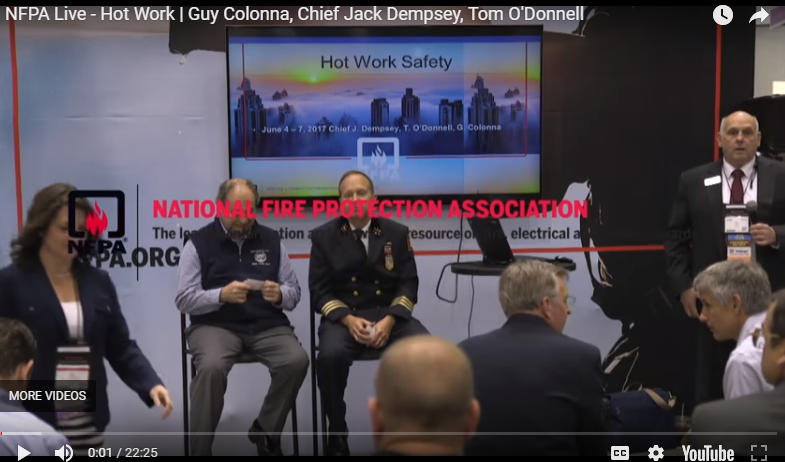 Read the latest update from the City of Boston on the NFPA Hot Work Safety Certificate program. The definition of “hot work” per the amended Boston Fire Prevention Code includes Welding and allied processes; Heat-treating; Grinding; Thawing pipes; Powder-driven fasteners; Hot Riveting; Torch-applied roofing; and any similar applications producing or using sparks, flame or heat. In June 2016, the Boston City Council passed an ordinance amending the Boston Fire Prevention Code requiring that effective January 1, 2017, all persons engaged in hot work operations must obtain a Hot Work Safety Certificate. Who conducts the training classes? Training classes for the Hot Work Safety Certificate Program are conducted by instructors who have been trained by NFPA. Preregistration is required, and classes are subject to cancellation. Click here if you are doing work in Boston that would include Hot Work of any kind so that you can get the required training. For Hot Work Training Materials, DVD’s, Online Training and more for your workplace, click on the link below for great safety training resources at excellent prices from our friends at Atlantic Training!